What Are Current Scrap Prices? The iScrap App is your one-stop resource for everything scrapping. Whether you are a full-time scrapper, plumber, electrician, contractor, or like to recycle metal for fun, we have the information and resources you need. 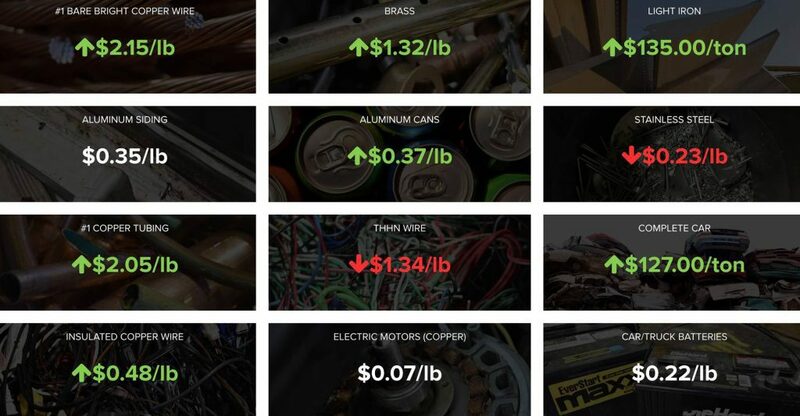 With our daily updated National Scrap Metal Prices, you can get a sense of what the market is doing. Need to know if copper is going up or down? We can help! Wondering if you should hold onto your steel or sell it? We can help you. Check out the scrap prices on the iScrap App today or download for FREE for iOS and Android. Learn more about scrap metals by visiting the Scrap Metal Guide. With dozens of types of metals, we have a comprehension guide with pictures, videos, and more. Check the current scrap laws for your US State. The information is helpful for preventing theft but also keeping you informed on regulations before visiting your scrap yard. Check the current scrap metal market news and prices. Also, learn more about scrapping with easier and better ways to make money on scrap metal. The iScrap App is a great tool to use on the go to find scrap yards in the area. 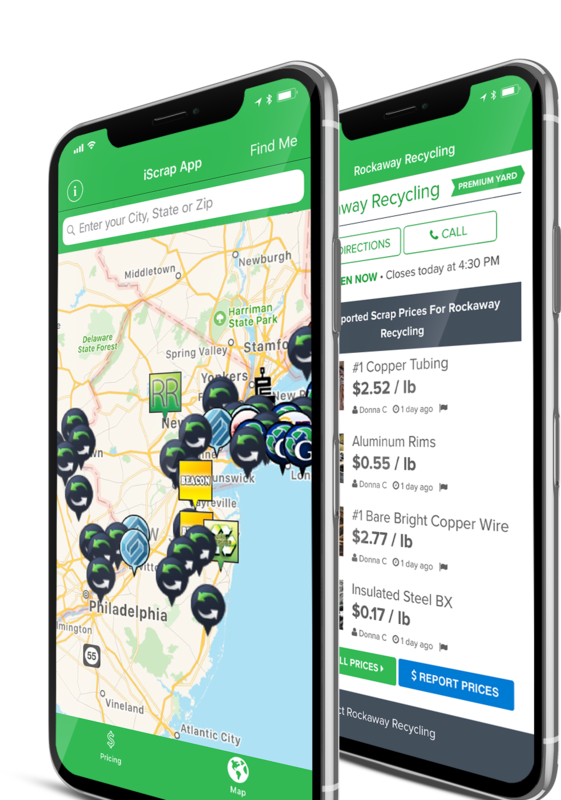 Download the Free iScrap App to get the full experience of tracking scrap prices near you and contacting local scrap yards. Be sure to check the local prices and report scrap prices near you on the Free iPhone and Android Apps.